When you get off your cruise ship in Acapulco, hop right on another, smaller cruise for a shore excursion along the Coyuca Lagoon, one of the most picturesque and colorful parts of Acapulco. This area is famous for its tropical vegetation and has been the location for many Hollywood movies including Rambo II. You’ll also enjoy a buffet lunch in a beautiful, relaxing setting. The beautiful fresh water Coyuca Lagoon is considered to be one of the most important natural attractions of Acapulco. This picturesque lagoon is thick with palms, water hyacinths and native flora, and has been the setting for Hollywood films such as The African Queen and Rambo II. A shore excursion cruise along the lagoon is a very pleasant way to spend your time in port in Acapulco. When your air-conditioned coach arrives at the heart of the lagoon, you’ll transfer to a small boat to cruise through the thick, tropical vegetation. A haven for birds with more than 250 species, the lagoon is a must for nature-lovers. You’ll stop at a local beachfront restaurant where you can enjoy a buffet lunch and an open bar of domestic drinks. After lunch, walk along the beach or just relax in a hammock. 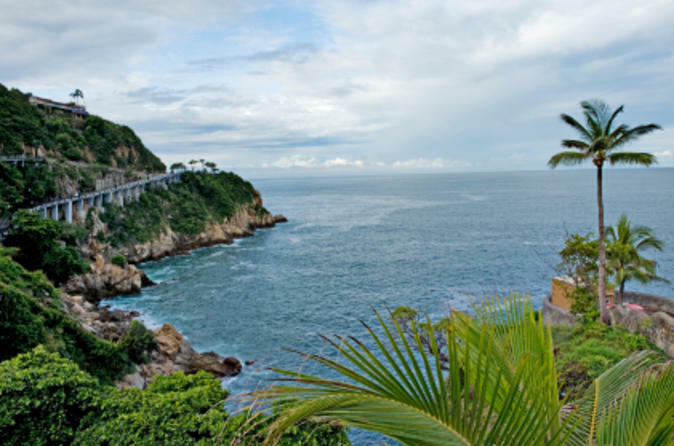 We will ensure your excursion ends with ample time for you to return to Acapulco for your ship’s departure. In the rare event your ship has departed, we will arrange for transportation to the next port-of-call. See our terms and conditions for full details.